In the wake of her mother's death, Leigh McCaulay returns to Jamaica after fifteen years away in New York to find her estranged father and discover whether she has a place she can call home. Not least she must re-engage with the complexities of being white in a black country, of being called to account for the oppressive history of white slave owners and black slaves. Interwoven with Leigh's return are the stories of two earlier arrivals, both from Scotland--of the abolitionist Zachary Macaulay, who comes as a precocious youth of sixteen to work as a book-keeper on a sugar estate in 1786, and of John Macaulay who comes in 1886, a naive and sometimes self-deluding Baptist missionary, determined to bring light to the heathen. For each of these arrivals there are discoveries to be made, often painful, about both Jamaica and themselves. Each must come to terms with the contradictions of a society immured in injustice, racial inequality and endemic violence; a landscape of heartbreaking beauty; and a people who endure with an unquenchable urge for independence. Later that day, Zachary stood at the new mound of earth under the cotton tree and tried to pray. He had buried her himself because he could not bear the thought of her body being dis­carded in the forest. He knew there would be a reckoning when Thompson looked for her to lock her in the gibbet. As she had requested, he had thrown the leavings of birth and death into Bonnie Valley’s fires. Take it to Africa, she had said. Impossible. It was hard to tell how many people had been buried under the cotton tree; only a few places were marked with rudimentary wooden carvings but there were many mounds of earth in all different sizes. There were no names. He watched Faith in the kitchen garden. She carried Madu’s child in a sling and Kwame walked behind her, as he had walked behind his mother. Sometimes he saw the baby’s arms wave, pale against Faith’s skin. Paul’s son, he was sure. A white child. An almost white child. A black child. An African child; an English child. An island child. A child of a continent. A child born in slavery, with skin white enough to set him free. 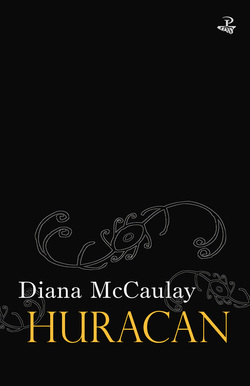 "Diana McCaulay has written a big book, a novel of consequence that many different kinds of readers will enjoy and benefit from. This novel is a wonderful read and a welcome addition to every Caribbeanist library." Mary Hanna, The Sunday Observer, July 15, 2012 Click here to read the full review!